Babies’ socks that are as pretty as a picture. These tiny Falke Cable Knit Cotton Ankle Socks are utterly charming, decorated as they are with an alternating chain cable rib and pelerine pattern. The pelerine stripes allow more air to circulate through the socks, which are already highly breathable due to the high cotton composition. 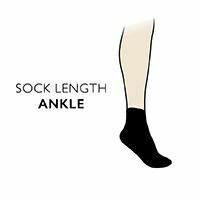 These cotton rich socks have contrast colour heels and toes, and elasticated cuffs to resist being kicked off by small feet. All the areas of highest wear have been reinforced, to ensure their lasting attractiveness and extra durability.